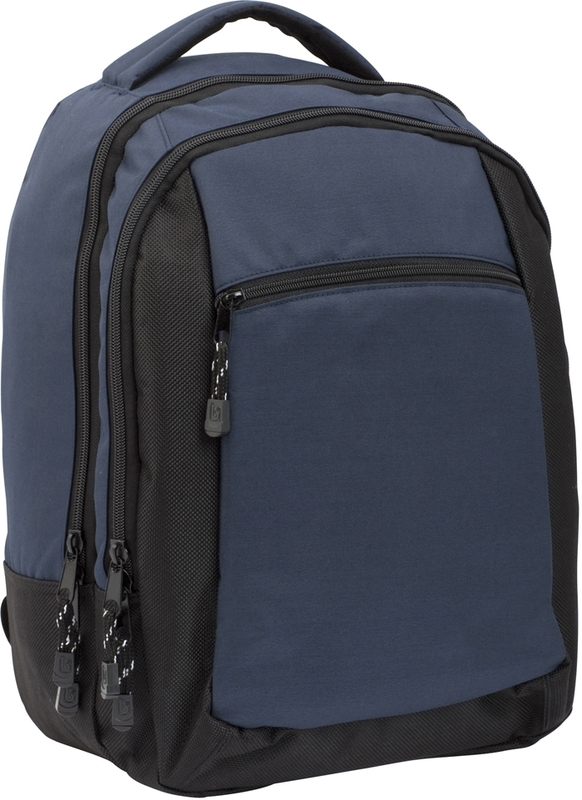 Description Laptop backpack (for screens up to 15.4" size) made from smooth 300d polyester, zipped front & main compartments, organiser section, earphone outlet & padded carry handle. Available in navy & black, as shown, and all black . Dimensions: 42 x 31 x 22cm. Print Area: 10 x 15cm. Max load: 7.1kg P rinted one colour to your artwork. Print set-up charges apply. Unit price for 50 € 16.00 Unit price for 100 € 15.35 Prices exc. vat.